Sydney’s Eastern Suburbs is one of the most desired areas in Australia, for most Australians it is simply unaffordable to live here. Everyone loves to be near the ocean, and you don’t find better ocean views than you will in Vaucluse. Vaucluse is located on the South Head peninsula with Sydney Harbour views to the west and the Tasman Sea on the east. Only 8km north-east of the CBD, residents have easy access to everything Sydney has to offer. If you can afford to live here, you’ve most likely worked hard for a long time do so, and your time is extremely valuable. 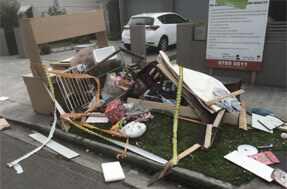 Junk is last thing you should be wasting your time on, which is why Same-Day Rubbish Removal is here to help. Our team do everything for you when it comes to waste removal so that you can give time to the more important things in your life. 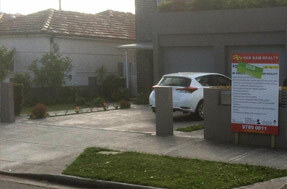 Just tell us what you’d like gone from your property and we’ll hand load it onto our truck and take it away. Living in such a naturally beautiful location like Vaucluse has probably made you appreciate the importance of looking after the environment and being responsible with the way you dispose of things. Fortunately it is illegal to dump garbage anywhere, and there are locations that are set up to dispose of it as needed. Our team hate seeing various useful materials get crushed up and burnt at landfill locations, as we know there are various chemicals and toxins that can still cause problems. We love it when a whole truckload of junk is able to be recycled instead of going to the tip. We know all the best places across Sydney to dispose of and recycle your rubbish, so you can trust us to dispose of your waste responsibly. It is our extensive experience in junk removal that has helped us become the easiest, cheapest and fastest rubbish recycling and disposal business in Sydney. We guarantee you’ll love our service! All Types of Junk, Gone. 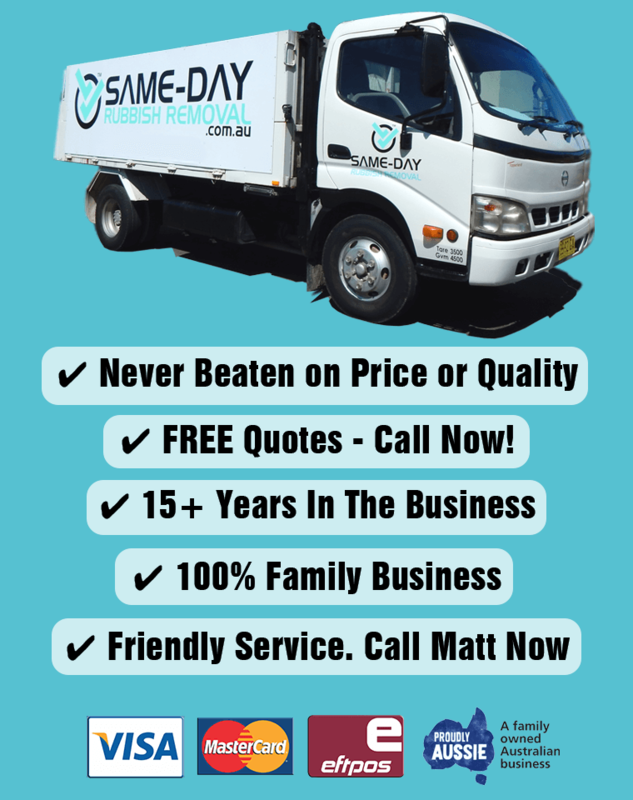 It doesn’t matter whether you live in Vaucluse, another Eastern Suburb like Clovelly or anywhere across Sydney, such as Chatswood or Glebe, Same-Day Rubbish Removal can offer you the same amazing service. We’ve got multiple trucks stationed across Sydney, ready to come to your location fast. It also doesn’t matter what size or type your junk is, our experienced team are ready for anything. Common jobs include furniture removal, whitegoods removal, and office e-waste removal, but we do see all sorts of things. We’re proud to say that there has never been a job too hard for us. Don’t wait any longer to get rid of your old junk and have your place cleaned up, give our friendly team a call now on 0402 737 046. You won’t believe how great value our service is until you receive a free quote, so call up and request one now. We never leave a job until it is 100% complete and our customers are happy with the job that has been done. We look forward to hearing from you!